I did not like this film at all and largely due to the Colorado theatre massacre it inspired. 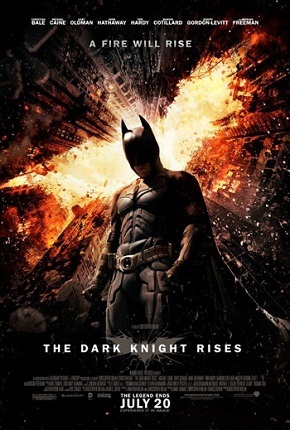 "The Dark Knight Rises" is a dark, tedious film with a convoluted storyline. Bruce Wayne, also known as Batman, is again engaged in battle against those seeking to destroy him. This time around the villain is Bane, a masked madman determined to destroy Gotham City. This film dragged too much for my taste and is quite morbid.